HOLDEN has updated its rough-and-tumble Colorado ute and seven-seat SUV with extra power as well as more safety equipment and technology. There are no pricing changes despite the update, except truck models with automatic transmissions which have a $200 increase. As part of the update, Holden has deleted the 2.5-litre diesel. 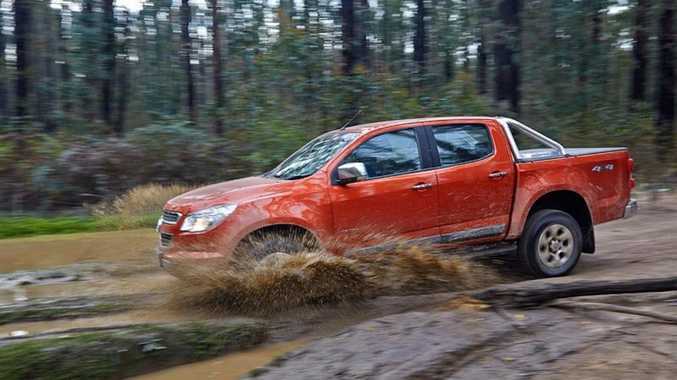 All variants of the Colorado are now powered exclusively by a 2.8-litre oil-burner. The new Duramax 2 diesel generates 147kW of power (up from 132kW) and on automatic models torque has been upped to 500Nm (improving from 470Nm). Fuel economy has been slightly improved, or is the same as the outgoing model. Towing capacity remains 3.5 tonnes on truck models while the Colorado 7 can tow a 3.0 tonne load. And while still maintaining the plasticky interior, all Colorado models other than the base DX single cab get a 17.7cm MyLink touch-screen. This comes with embedded apps which can stream music, podcasts and digital radio using data from your smartphone. Safety improvements include chassis control systems such as Trailer Sway Control and Hill Start Assist, as well as a Descent Control System on all Colorado 7 and Colorado models except DX. Front side impact airbags are standard for all LX, LT and LTZ models and Rear Park Assist and a rear camera to all Colorado 7 models and the Colorado LTZ. An extra colour has also been added to the ute range, a stand-out "Orange Rock". 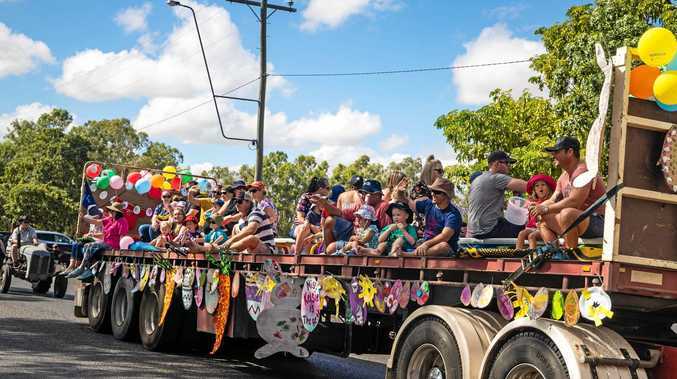 "We've put a lot of time and effort in ensuring we delivered a real contender and serious competitor in the LCV and SUV market," Holden's Philip Brook said. 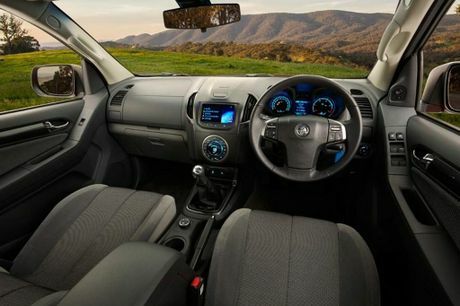 "The latest Colorado range ensures this tough vehicle continues to stack up against the rest and offers consumers a serious 4WD, with the latest technology, that's a workhorse, a family vehicle or is just as at home on Australia's most rugged terrain." There are also a range of accessories available to trick-up the trucks. The $5440 Predator Pack on LTZ models includes a polished alloy SuperBar, three-piece Sportlid, and cargo liner. An updated Nullarbor Pack now includes a tow bar kit, steel bull bar, cargo liner, snorkel and driving lamps for $4430. The new Volcanic Pack adds some mean accessories, including a three-piece Sportlid, black sports bar, black nudge bar and bonnet protector for $4380. The Holden Alloy SuperBar retails for $2300 including fitting on both Colorado and Colorado 7 and the optional LED DRL package is available for $550. Colorado remains a strong player in the market for Holden. The Colorado 7 has 12.7% of the market this year according to VFACTS statistics. The other big players come from Toyota, including t he Prado and Kluger. In the 4x4 ute market the Colorado has about 10% share, trailing the Toyota HiLux, Nissan Navara, Mitsubishi Triton and the Ford Ranger. Details: Two-wheel drive and four-wheel drive ute, double cab and space cab. Seven-seat large SUV. Engine: 2.8L double overhead cam four-cylinder common rail injection Duramax 2 Diesel generating maximum power of 147kW @ 3600rpm and peak torque of 500 @ 2000rpm (440 @ 2000rpm for manual models). Transmissions: Six-speed manual or six-speed automatic. Towing capacity: 3.5 tonnes on ute models, 3.0 tonnes on SUV. Tow ball load 350kg.